Emma needs a safe place to stay. Because of something that happened between her and her famous ex-boyfriend she's being haunted by the press. She ends up in rural and quiet Crickleford, staying with a very nice family. She's their first lodger and Emma fits right in. She needs to find something to do and before she knows it she's started her own pet-sitting business. She can't tell the people in Crickleford who she really is and lying about her history proves to be quite a challenge. Fortunately pets love unconditionally and they slowly heal her heart. Emma tries to stay away from publicity, but she keeps landing herself in situations that are bringing her local fame. She also becomes close with a journalist. Can she trust Matt? She's afraid he'll eventually expose her, but her intuition is telling her he's a nice guy and she can't help feeling drawn to him. Is her heart telling her the right thing? Crickleford and Emma are a good match, but will she be able to stay? Is it possible to hide her past from everyone she now holds dear? What would her new friends think if they'd know the truth? Does Emma risk being heartbroken all over again? The Pets at Primrose Cottage is a wonderful heartwarming story. I immediately loved Emma. She's a strong and fiery person. She also has many secrets and I couldn't wait to find out what they were. She doesn't have much confidence in her own abilities, but she's really good with animals and she's caring and helpful, which makes her a fabulous main character to read about. Emma's adventures are fascinating and entertaining and they kept me glued to the pages. I read The Pets at Primrose Cottage with a big smile on my face. Sheila Norton writes about the countryside in a delightful inspiring way. I was captivated by Crickleford and its inhabitants from beginning to end. I love reading about eccentric small towns and easily fell in love with this one. I liked how Sheila Norton writes about animals a lot as well, she gives them real and intriguing personalities that are making her story a joy to read. The Pets at Primrose Cottage is a fabulous feelgood story. It's charming, enchanting, endearing and dynamic. I highly recommend this amazing touching and amusing book. If you love charming stories set in small towns you will definitely like The Pets at Primrose Cottage. Sheila was born in Romford, now lives near Chelmsford, Essex, and has been writing avidly since childhood. For most of her life she worked as a medical secretary, retiring early to concentrate on her writing. Her first publications were children’s stories, but after twice winning first prize in the Writers’ News short story competitions in the 1990s, she began to have short stories published regularly in women’s magazines. Her first romantic comedy novel was published in 2003 by Piatkus Books, followed by a further seven similar books with Piatkus, including three under the pseudonym of Olivia Ryan. She then self-published several novels with Amazon, including two books set mainly in the 1960s, and one family story with grandparents at its heart. In another radical change of direction, since 2015 Sheila has been published by Ebury Press, writing adult fiction with animal themes. Two novels with cats as the central ‘characters’ have now been followed by ‘The Vets at Hope Green’. ‘Cosy’ Fiction – what’s the point? As a novelist, I’ve always written what is often referred to as ‘light’ fiction. My earliest novels were in the ‘chick lit’ style of women’s fiction, which was very fashionable back then, and my more recent books are sometimes called ‘cosy’ stories. I’ve loved writing every one of my novels. 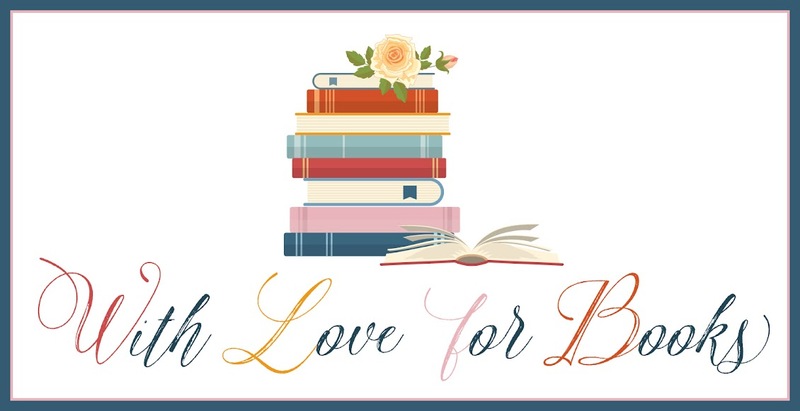 But I’ve always been aware that while, thankfully, most of my readers enjoy my books (and don’t really care whether they’re called light, gentle, funny, or whatever) there is a certain amount of snobbery in the world of literature. 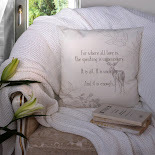 Yes, I realise some people turn up their noses at the very idea of the light, cosy, gentle stories I’m now writing! So although I don’t actually think it matters too much what people think if they’re not reading my books anyway, I thought perhaps it was time to say a few words in defence of my genre. Perhaps the first thing to point out, is that the kind of book I write also falls into another category, called ‘popular fiction’. 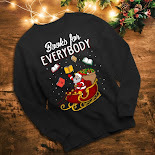 And who wouldn’t want their books to be popular?! If an author tells you they don’t want that, they’re either crazy or a liar! There’s also a misconception that if a book is easy to read, it must have been easy to write. 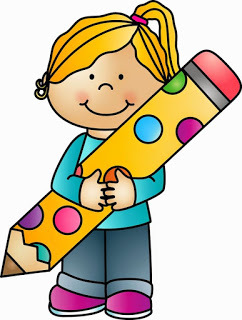 Of course, I’m aware that some writers’ books are more complex, and take longer, to write than mine. I’ve read books – both ‘literary’ and ‘popular’ – which have taken my breath away and made me realise I could never achieve what that author has done. But no matter how gentle and cosy, or chatty and funny, a book is, it still takes months or sometimes years of hard slog, working out the plot, adding all the little twists, the personalities and development of the characters and their relationships with each other, the cliff-hangers and resolutions and of course, the all-important ending. And that’s without the research. Historical novels obviously need tons of research, but contemporary stories still do require the author to try to get their facts right about, for instance, the jobs their characters do, the places they live, any unusual situations or health conditions they encounter, and so on. But the point I’d most like to make in defence of my ‘cosy’ stories is this: We live in a world, and an era, beset with stress and anxiety. People – even those who are healthy, fairly comfortably housed and in good jobs – are often living on the edge of their nerves. Dissatisfaction, criticism and verbal aggression surround us when we look at the newspapers, TV or social media. Even if our own lives are reasonably happy we can feel sucked into this maelstrom of negativity: worried about what people who don’t even know us might think about us; perhaps resentful of those who think, or live, differently from us; or overly sensitive and defensive about our own opinions, beliefs, race, age, or situation in life. Of course, there’s a need for all different types of fiction. Some books are intended to thrill, shock, or scare. Some are meant to make us think, to learn and wonder. Some make us sad, some make us laugh; some make us feel romantic, wistful, or even puzzled. I’ve always liked to write about characters who feel real; so my characters aren’t always well-behaved; they might be selfish, rude, silly or annoying at times – but aren’t we all? Their lives have ups and downs, like us all. And because my recent books have ‘pet’ backgrounds, the animals also have sad episodes as well as happy ones. So my stories are definitely not jolly sunshine all the way through; in fact I deliberately include some tough themes. But the endings are happy, or at least hopeful. Of course we know life doesn’t really always turn out happily, and people don’t really always end up doing the right thing. We know, too, that country villages and little seaside towns aren’t always sweet, neighbourly places, and that people living in idyllic places can be just as petty and spiteful as people elsewhere! That’s where the escapism comes in. That’s what makes these stories ‘cosy’, and I make absolutely no apology for it. I hope, if you read my books, you’ll be able to switch off from all that negativity around you, relax and – just enjoy! And I hope you feel better for reading them. Thank you. Five very lucky readers of With Love for Books will receive a digital copy of The Pets at Primrose Cottage by Sheila Norton. 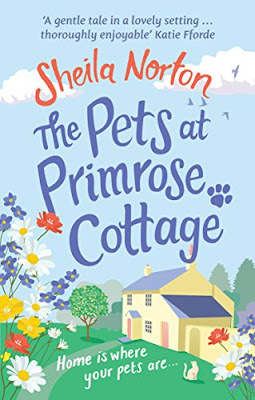 The Pets at Primrose Cottage sounds like an utterly heart-warming and charming story about living the simple life and the joy of animals. I'm a cozy addict. This genre is my go to one for stress relief. I know I'm going to meet some quirky character's and visit a delightful town. Such an lovely sounding story. This looks like the perfect book for taking on holiday and unwinding. Wow, this sounds great. A new life, intriguing mystery and animals. I love books with animals and this one sounds awesome! I love cozy stories. This looks like another good one. Sweet story. Would love to read it! Lovely guest post Shiela - I'm all for a bit of escapism!